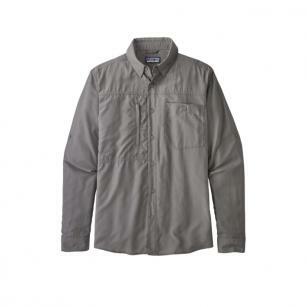 Easy to care for and perfect for travel, this lightweight, breathable, quick-drying, long-sleeved shirt is made with a 53% nylon/47% TENCEL® lyocell fabric. 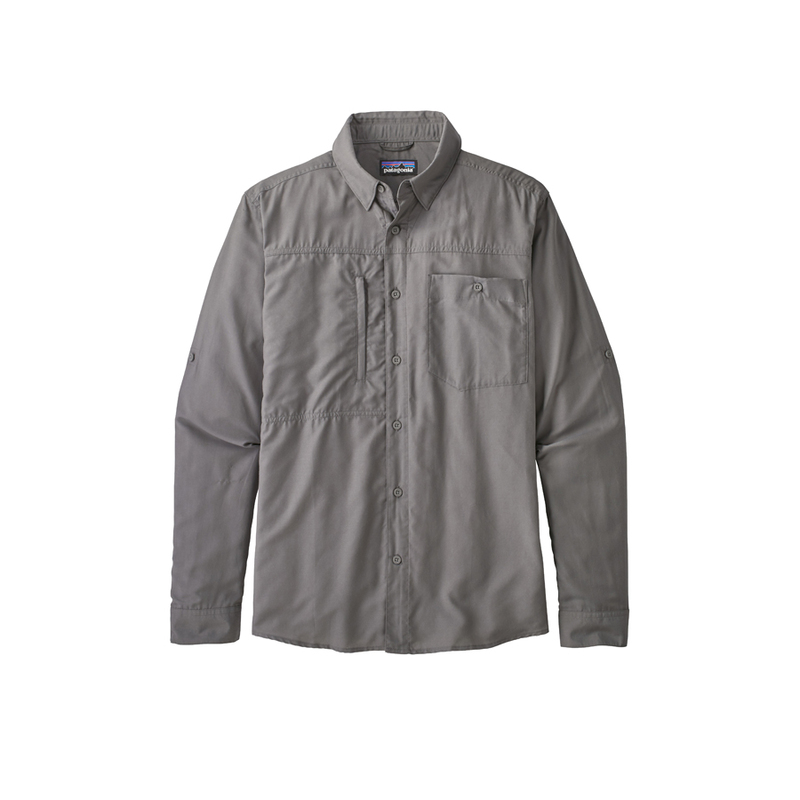 This quick-drying, wrinkle-resistant, easy-care shirt is made from a lightweight blend of 53% nylon/47% TENCEL® lyocell fabric that looks fresh, even if you’ve pulled an all-nighter. It has a motion-oriented design with mesh lining in the back to wick moisture, increase breathability and allow a cooling draft. Reflective tape details under the collar and in the cuffs glow when illuminated, making you more visible in low light. Patagonia sized the left-chest pocket to hold a passport, while the right-chest pocket accommodates a medium fly box. A regular fit increases airflow.